Start the wedding planning: Guess who's engaged? 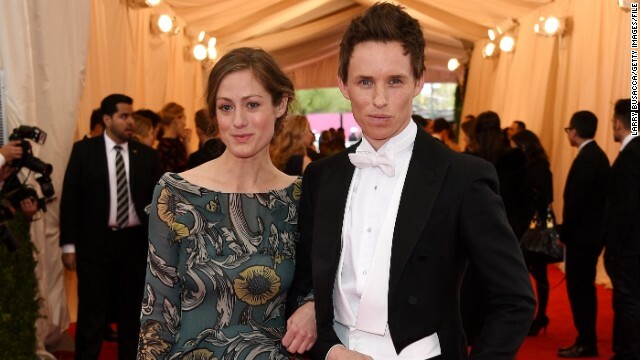 The latest two celebrity couples to announce their engagements are actor Eddie Redmayne, who's planning to wed girlfriend Hannah Bagshawe, and model Lauren Scruggs, who's going to get hitched to E! News personality Jason Kennedy. Scruggs, the fashion blogger and former model who lost her left hand and eye in a 2011 airplane propeller accident, has been seeing Kennedy since at least August 2013, when the couple were spotted enjoying themselves on a Mexican vacation. Kennedy's been open about his immense affection for Scruggs, and on Friday he shared a photo of his surprise proposal. "I flew to Dallas and asked her if she would spend the rest of her life with me. I love you @laurenscruggs," Kennedy shared on Instagram along with a picture of his question spelled out with candles. "I walk in and my apartment is full of tulips, this little like path to the patio," Scruggs described to the "Today" show. "He was outside in the grass, and there were just candles, spelling out 'Will you marry me?' And he was like, 'Will you come down here? I want to ask you a question.' I was just seriously shocked." Since Kennedy's on the celebrity beat, perhaps his next interview with actor Redmayne will revolve around their upcoming nuptials. The "Week with Marilyn" and "Les Miserables" star popped the question to his girlfriend of more than two years over Memorial Day Weekend. According to Us Weekly, he pulled out all the stops, even getting permission from his future father-in-law.